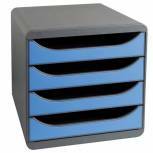 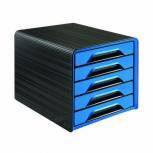 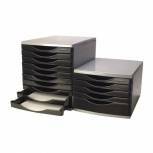 Q-Connect 5 Drawer Tower Black and Grey KF02253 Pack of 1 Q-Connect Drawer Set. 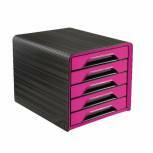 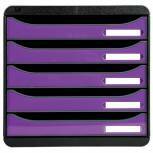 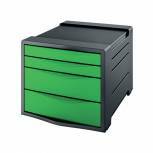 Sturdy drawer set, the ideal storage solution for all of your paper work. Each unit has five easy-running drawers. 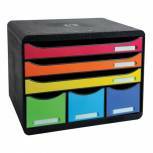 Colour - Black/Grey. 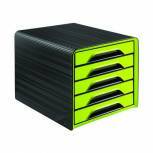 Size: L345 x W290 x H220mm. 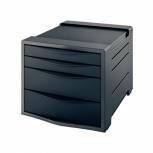 CEP Pro Happy 8 Drawer Module 398HM Pack of 1 CEP Eight Drawer Module. 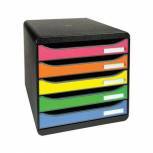 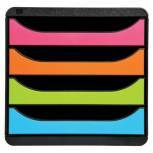 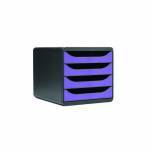 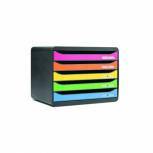 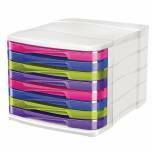 Desktop module with assorted colour drawers to accept documents up to 24 x 32 cm in size. 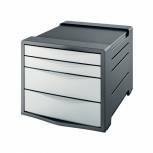 Drawers have smooth action, retaining stop and hand slot for easy access. 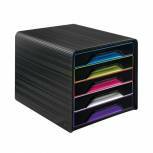 Units can be securely stacked. 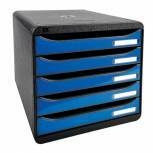 Comes with anti skid rubber feet.